response from property - Thank you for your feedback, Antoine, we appreciate hearing about you experience. We're sorry noise has been an issue for you; if this is something you would like to discuss in person we would be happy to set up an appointment. Otherwise thank you for the overall great review. response from property - Thanks, Nina! We're glad you seem to love it here so far. Please let us know if there is anything else we can do for you! Very peaceful community, the apartments are spacious and well-maintained. I would recommend living in Twin Ridgesubmitted by Liron B. - Sep 30, 2017 |Recommended: YesWe are glad that we chose to live in Twin Ridge apartments. We moved from Italy and had done all the paperwork by emails and phone. The customer service was very professional and friendly and we liked how they took care of us before and after we moved in. The office staff is awesome and always ready to help Kristen Zajdel went above and beyond to make our transition smooth and less stressful. We moved in without even seeing the community or the apartment, and guess what, the apartment was beautiful and in perfect condition. It has very spacious living room and dining area, huge compare to other apartments balcony and renovated kitchen. The maintenance is also very good and prompt. They can fix everything at the same day We love Twin Ridge and we are sorry that we have to leave because getting a new job very far from its' location. We had a great experience and would recommend these apartments to everyone who is looking to move to that area. Excellent communitysubmitted by Subramanian V. - Sep 30, 2017 |Recommended: YesAwesome, good place to start. response from property - Thank you Subramanian, we appreciate you taking the time to rate our community! Please let us know if there is anything else we can do for you. response from property - Thank you Adrienne! We appreciate the reivew and we're happy to have you back--t's always nice to see familiar faces! Let us know if there is anything else we can do for you! response from property - Thanks for the 5-star rating Shayne! We appreciate you taking the time to rate our community and are so glad you're pleased with your decision to live at Twin Ridge! Let us know if there is anything else we can do for you! Twin Ridge Apts are Top Notchsubmitted by Benjamin C. - Sep 01, 2017 |Recommended: YesDiverse population in well maintained and safe community. Good school district, fabulous pool and fitness center. I would encourage any friend looking for an apartment to check it out. response from property - Thank you Benjamin! We're happy to have you here and hope you always feel this way about your experience at Twin Ridge! Please let us know if there is anything else we can do for you! response from property - Thank you Theoora! We love having you as a resident and we hope ou'll continue to enjoy your stay for a long time. Please let us know if there is anything else we can do for you.  response from property - Jason, thanks for the wonderful review of Twin Ridge Apartments. We appreciate you taking the time to review our community. We're glad to hear you've enjoyed stay here, and that we've helped make your experience a positive one. response from property - Julianne, thanks for your review of Twin Ridge Apartments. We are so happy to hear you have enjoyed our location and the amenities right here in our community. response from property - Thank you for the great review Jami; we're glad our staff has been meeting your expectations! Wonderful submitted by Keena S. - May 03, 2017 |Recommended: YesIt's peaceful and quiet. No problems what so ever. response from property - Thank you Keena! We're glad you've enjoyed your stay so far and we hope you continue to love it here for many years to come. Please let us know if there is anything else we can do for you. response from property - Thank you Caitlin! We appreciate you taking the time to rate our community! I love my apartmentsubmitted by Luis P. - Apr 30, 2017 |Recommended: YesI will recommend the apartments to any good person. response from property - Thank you Luis, we appreciate your recommendation and hope you continue to love it at Twin Ridge. Please let us know if there is anything else we can do for you! Lovely place to livesubmitted by Shawna S. - Apr 15, 2017 |Recommended: YesIt is a nice quiet neighborhood that is close enough to the hustle of bustle of everything one would need. I have very much enjoyed living here. response from property - That's great to hear, Shawna, thank you so much for leaving this wonderful review. Please let us know if there is anything else we can do for you!